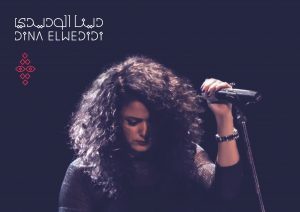 Dina El Wedidi, a well-loved name in Egyptian contemporary music, will perform on Thursday, Sept. 27 at 7:30 p.m. at the Weis Center. There will be a pre-performance talk with the artist on Tuesday, Sept. 25 at 1 p.m. in the Weis Center Atrium. Since she burst onto the scene with her powerful voice and inventive but rooted style, Dina has been driven by a curiosity and a propensity to shed her skin and venture down new paths. She draws deep into her musical roots of performing Egyptian folkloric music with the Warsha Theater Troupe and Habaybena band, filtering this through her talent and love for experimentation, to produce music that is familiar and relatable for Egyptians, but at the same time presents her own understanding of it. Her participation in these projects inevitably led her to write her own music, and in 2011, she took the fundamental next step in her career and formed her own band; from here her success has soared, not only gaining her stardom in Egypt, but a fan base internationally. Starting in 2012, Dina joined The Nile Project. Her experience collaborating with musicians from 11 East African countries blasted open her musical universe, and since then she has incorporated elements of these cultures, specifically Ethiopian, into her music. She is featured on the first two Nile Project albums, Aswan (2013) and Jinja (2014). That same year, she was selected by Gilberto Gil and the Rolex Mentor and Protégé Arts Initiative as a protégé. 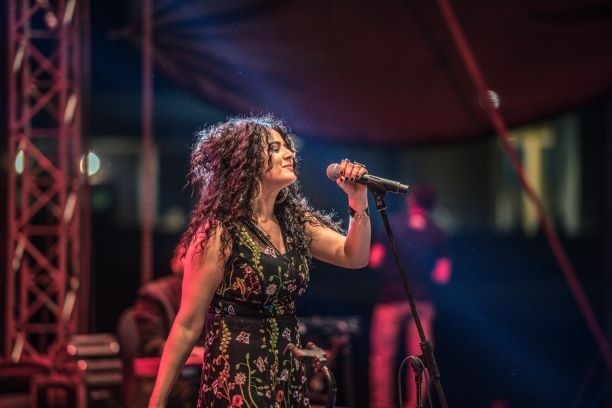 In 2014, Dina released her debut album Turning Back which she labelled as New Arab Folk. Over the past couple of years, Dina has gone down a very different artistic track, figuratively and literally, straying heavily from the tried and true recipe that earned her success. Largely, this involved delving into production to expand her skills beyond singing and songwriting. This path also introduced another new, and even less orthodox instrument to Dina: trains. For this new work, she had to dig into uncharted territory and relearn her creative process. Manam is an experimental electronic album, produced from layers of processed train sounds, over which she sings. The result is a 30-minute voyage, a short nap crossing seven stations, in which Dina tells hallucinatory stories. The presentation of Dina El Wedidi is part of Center Stage, a public diplomacy initiative of the U.S. Department of State’s Bureau of Educational and Cultural Affairs, administered by the New England Foundation for the Arts in cooperation with the U.S. Regional Arts Organizations, with support from the Doris Duke Foundation for Islamic Art and the Trust for Mutual Understanding. General management is provided by Lisa Booth Management Inc.
Tickets for the performance are $22 for adults, $18 for seniors 62+, $12 for youth 18 and under, $12 for Bucknell employees and retirees (limit 2), $10 for Bucknell students (limit 2), and $12 for non-Bucknell college students (limit 2).